Create botanical paintings on paper using black India ink, watercolor and colored pencil. Learn how to combine these different media in a special summer workshop with award-winning botanical artist Kathie Miranda. Discover how to layer ink washes, watercolor and colored pencil as you compose a painting of plants and other natural history objects. 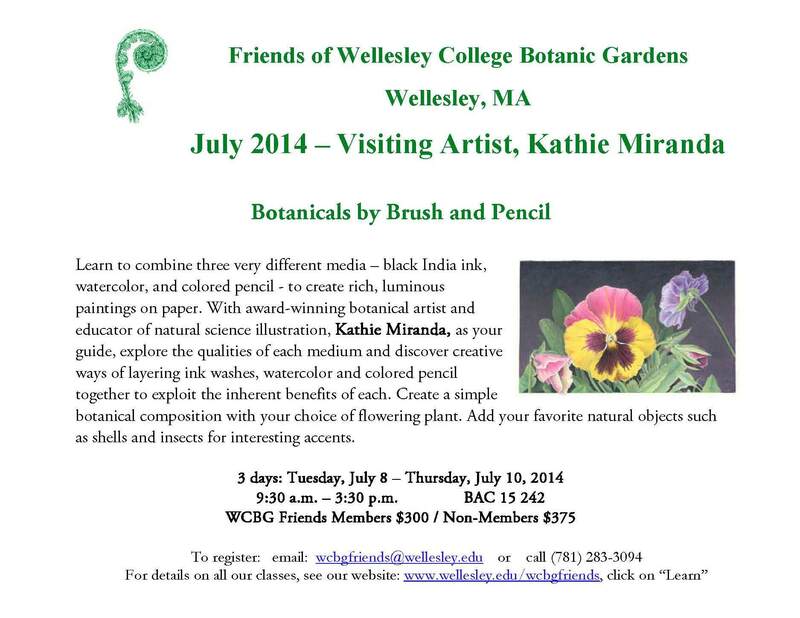 This three-day workshop begins July 8, 2014 and will be held at Wellesley College Botanic Gardens. Register by email at wcbgfriends@wellesley.edu or call (781) 283-3094.